If there ever was a doubt about MTN Project Fame being West Africa’s biggest talent hunt competition, the Abuja and Port Harcourt auditions certainly dispelled the doubt. The event drew a multitude of music enthusiasts from the two cities, all of themseeking a shot at the grand price of N5m, a brand new SUV and a recording deal worth millions of naira. 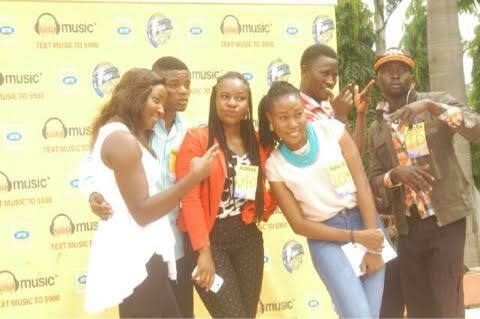 The venues for the auditions, Bolingo Hotels in Abuja and Vointel Hotel, Port Harcourt, were a beehive of activities during the two days.For the wannabe superstars, it was all or nothing as theytried to impress the judges comprising Tyeng Gang, Matilda Duncan and GodpeOnDebeatz in Abuja and Mary Ann Okon, Ada Onwusiribe and Chuks Robert in Port Harcourt. 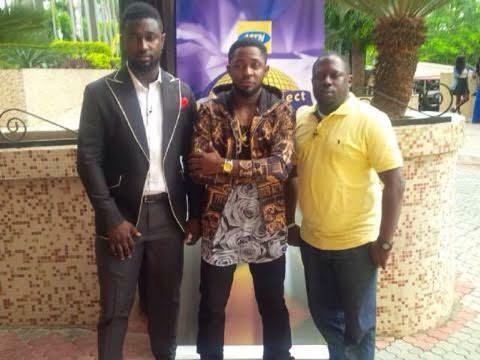 The Abuja audition had an added twist with the presence of Geoffrey, winner of last year’s edition of MTN Project Fame. Himself, a past contestant from Abuja, Geoffrey’spresence was a morale booster for the teeming crowd that turned up for the auditions. 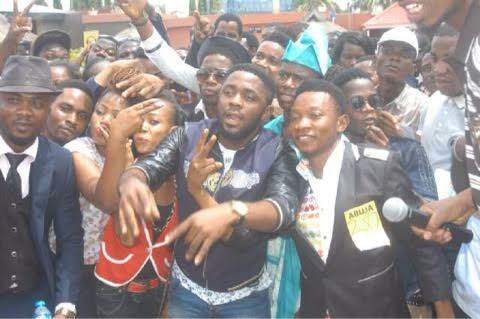 The Benue State born artiste also gave an entertaining performance of his latest single, ‘Burst My Brain’. At the end of the auditions, it was different strokes for different folks. For some it was the end of the road, a painful end of their dreams of stardom. For others, all of the hard work and persistence they put infinally paid off as they were selected to go to Lagos for the Live auditions. 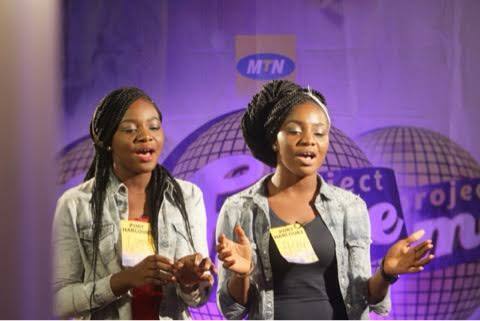 Up next is the Ibadan auditions which will hold on June 27, 2015. There will also be auditions in Ghana the same day while the Lagos auditions will hold 3rd and 4th of July. If you have what it takes to become the new Iyanya,Praiz, Chidinma or Geoffrey,then come show your stuff at the Ibadan auditions.You can register by following these simple steps- 5900 on your MTN line, listen to the voice prompt, follow the instruction and you will be given a unique PIN number. You can also record your songs and submit it via the Interactive Voice recording Platform. The overall winner in MTN Project Fame 8 will walk away with a brand new SUV, a recording contract worth millions of Naira and N5million in cash while the 1st Runner up will get a saloon car and N3million in cash. The 2nd runner up will not go home empty handed as he or she will drive away a brand new saloon car along with N1million while the 3rd runner up is made a Millionaire. You can log onto www.projectfamewestafrica.com for more registration and audition details.